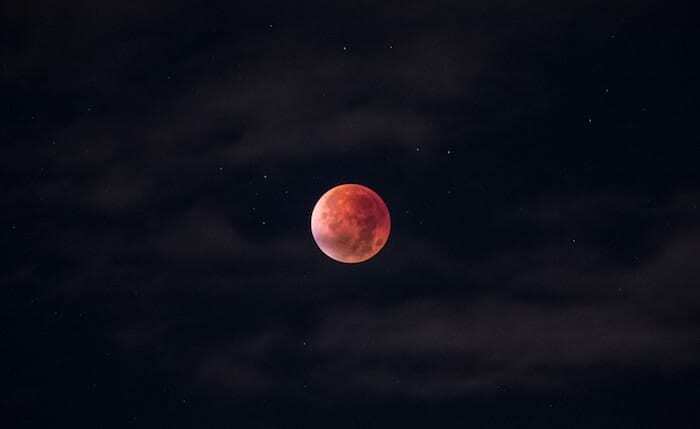 (AFP) The eclipse and Super Blood Wolf Moon as seen from Bogota, Colombia, January 20, 2019. We can see the red light during an eclipse as it falls onto the Moon in Earth's shadow. During this eclipse, direct sunlight is completely blocked by the Earth's shadow. In January, the full moon is also sometimes known as the wolf moon or great spirit moon. When was the last total lunar eclipse or blood moon and when is the next one?